The 331 Lafayette Street Project broke ground this past February and we are pleased to say construction is nearly complete. The project has come a long way as it took nearly three years for the project developer, Robert Bur, to obtain the property in order to start the project. Which were once four separate parcels will now stand as a beautiful single property. The property will serve the surrounding community 8,000 square feet of street-level retail space, including RN Aesthetics and a restaurant. 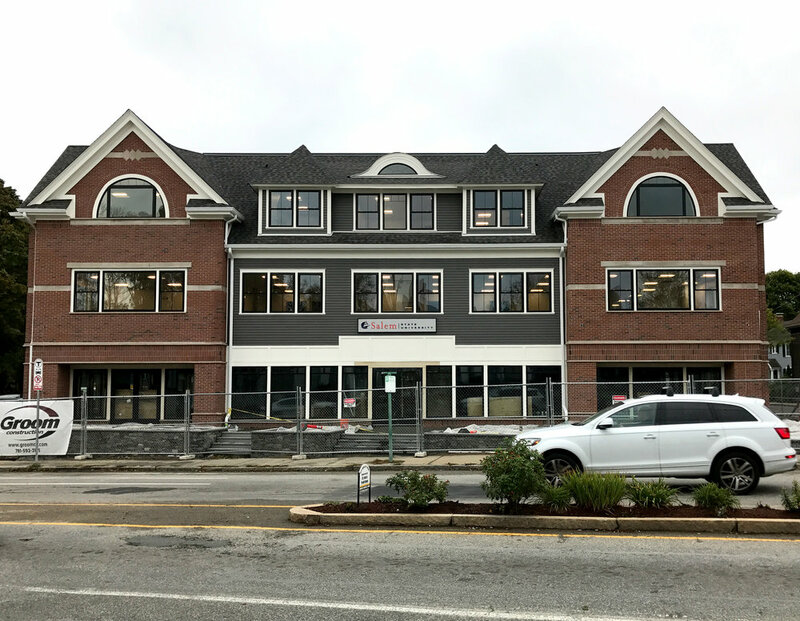 Office space on the upper floors will be leased to Salem State University Assistance Corporation along with other Salem State University offices. We are excited for the exterior is nearly complete and we can tackle the interior work. Click the link below to read more about this project in North Shore Magazine.